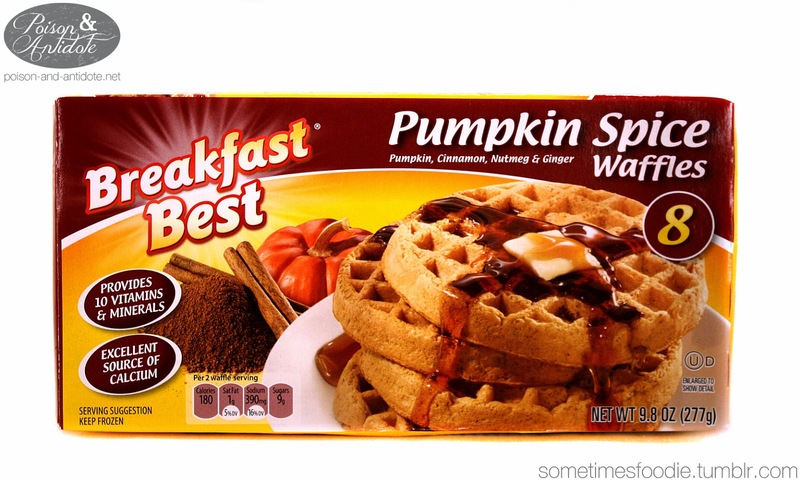 Last year I bought one of those huge boxes of pumpkin spiced Eggo waffles from Sam's club and, although I didn't formally review them, I really liked them. I couldn't find the big box at Sam's this year, so I picked up this little Aldi version. When compared to other seasonal Aldi items, this design just isn't up to par. Most, if not all, of the pumpkin items are under Aldi's Selected label, which has a classic black and white layout, while this is more of a no-frills brand. It's the typography that is holding this design back. It could be so much more cohesive with a different font! Looking past the text, the images are really crisp and appealing. When compared to the Eggo waffle box, this is the weaker design, but I have seen much worse. Frozen, the waffles look a bit darker than I'm used to, which could be due to spices, and they don't have any smell. Once toasted, my kitchen filled up with a deliciously spiced aroma. It wasn't quite pumpkin bread, but it was definitely some kind of spiced baked good. If you could make this scent into a fall candle you'd have a best seller. It isn't in-your-face pumpkin, but it does scream fall. I decided to eat these with a tiny pat of butter and some good ol' maple syrup, and they were delicious. These seem even more heavily spiced than the Eggo variety! These don't taste like pumpkin pie, but they have a delightful spice blend of cinnamon, nutmeg, allspice, ginger, and cloves. If you have an Aldi nearby, you should grab a box of these this fall. You won't regret it. On a Pumpkin Scale of 1-5 (5 being the most pumpkin-y) I’d give this a 3. 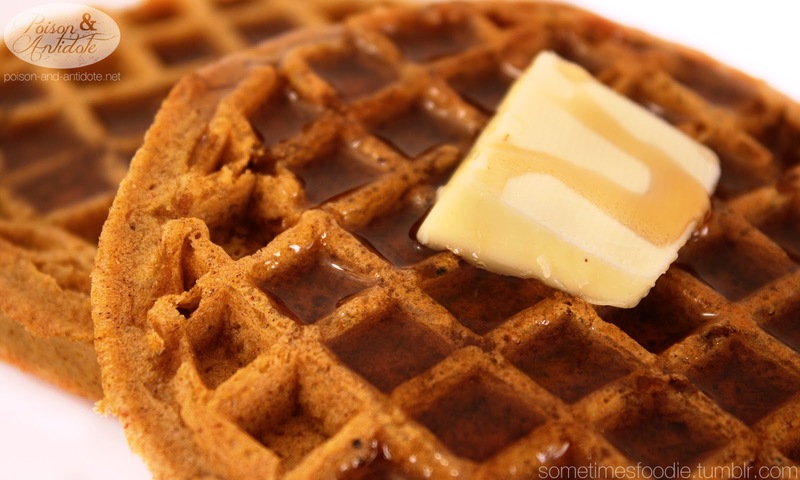 They may not be super pumpkin-y, but these are even better than the Eggo variety!